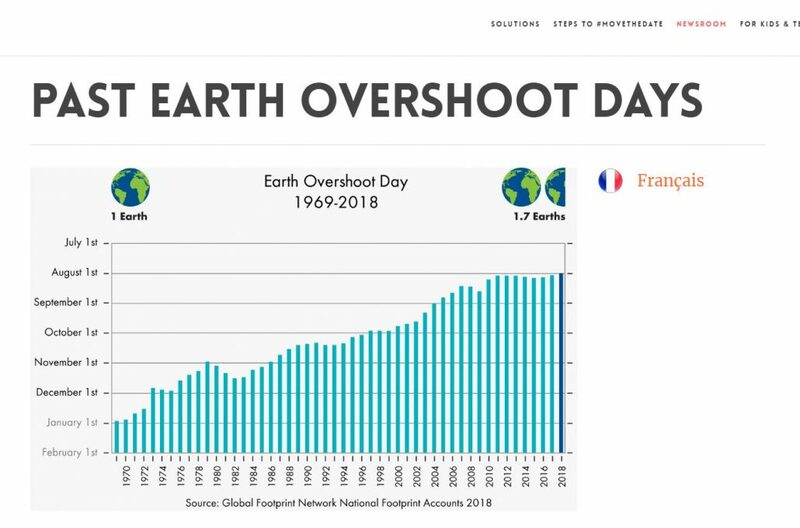 In SIX days we will sadly reach “Earth Overshoot Day”— the date calculated by the Global Footprint Network when our demand for ecological resources and services in a given year exceeds what Earth can regenerate in that year. Sadly this day is ever earlier and we should be not think lightly about it. At a given point we won’t be able to repay our debt to mother Nature. The Global Footprint Network highlights four major areas for improving sustainability: cities, energy, food and population. Protix was founded out of the same concern for our Earth’s resources, and our company is committed to making our global food system more sustainable. We aim to achieve that while providing healthy, tasty, high-quality and affordable food for all people. Insects are our powerful allies in fulfilling that mission. A growing and more prosperous global population is creating an increased demand for high-quality proteins—a demand that our Earth’s resources will not be able to sustain if we continue with our current agricultural and aquaculture practices. Thankfully, technologies in sustainable food production are advancing rapidly all across the board from farm to fork. Several start-ups that use plant-based ingredients to create imitation animal proteins are nearing commercial viability. So, too, are lab-grown meat products and insect based foods. Similarly, companies and chefs alike are embracing natural, alternative proteins—most notably, insects. The World Economic Forum just last month highlighted forecasts that the global market for edible insects could grow to $1.18 billion by 2023. And earlier this year, IKEA revealed that it is testing bug burgers and mealworm meatballs as potential additions to the store’s popular café menu. While new forms of imitation and alternative proteins will be a part of the grand solution to making our global food system more sustainable, we must not depend solely on the more attention-grabbing innovations. It’s an ‘all-of-the-above-approach’ but at the same time we need to keep a strong focus on how to achieve scaleable impact today. Insect based protein is such a solution that can achieve global impact today. Why? Because Insects, in addition to being developed as food, can be used as an alternative source of feed for livestock and fish. Long a natural part of both human and animal diets, insects naturally and efficiently convert plant and animal waste into high-quality protein. As some of nature’s most resilient species, they also require little energy to breed and can be locally produced in nearly any climate. And consumers don’t need to eat them directly to make their diets more sustainable. Instead of depleting marine ecosystems with fish feed made of wild fish, or depleting crops to feed livestock, we can raise high-quality insect protein using crop waste and food leftovers, and use the insects to raise healthy, more sustainable fish and livestock for human consumption. That means instead of forcing the cultural shifts needed to change consumer behavior, insect protein production can meet consumer needs wherever they are while still providing a sustainable alternative. Think of eggs, chicken, salmon, trout and shrimp as few examples of tasty products that can be produced in a massively more sustainable way if they were to be fed with insects. We recently launched the OERegg at a dutch supermarket with many more consumer products coming up. Best of all, the infrastructure to produce insect protein at an impactful level is already in place. We at Protix have spent nearly a decade refining the processes and technologies necessary to create a safe, repeatable process for growing insects. We have a full plant operational and we are serving customers reliably in over 12 countries. Our new plant is in full construction with more in development globally. Our production systems and sustainable ingredients can therefore make a significant difference in the global production of sustainable protein for human consumption, creating a new protein market that is growing more and more viable. 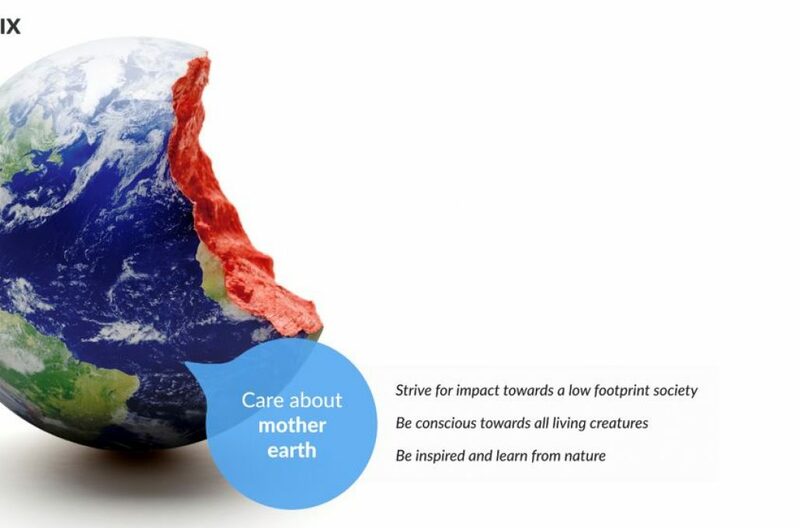 As we as a society become more informed about the environmental and ecological implications of our consumption patterns, it is inherent upon us as individual consumers and business leaders, investors and customers to choose, produce and promote products and production processes that are more sustainable and environmentally responsible. Reimagining and recreating a global food system that meets the nutritional needs and diverse tastes of a growing global population will require a range of innovative solutions. But true global impact is dependent on consumer tastes and choices. Scaling of insect-proteins for feed is something that can have a significant, immediate and global impact. From August 2nd through December 31st of this year, we as a global society are living beyond our means. 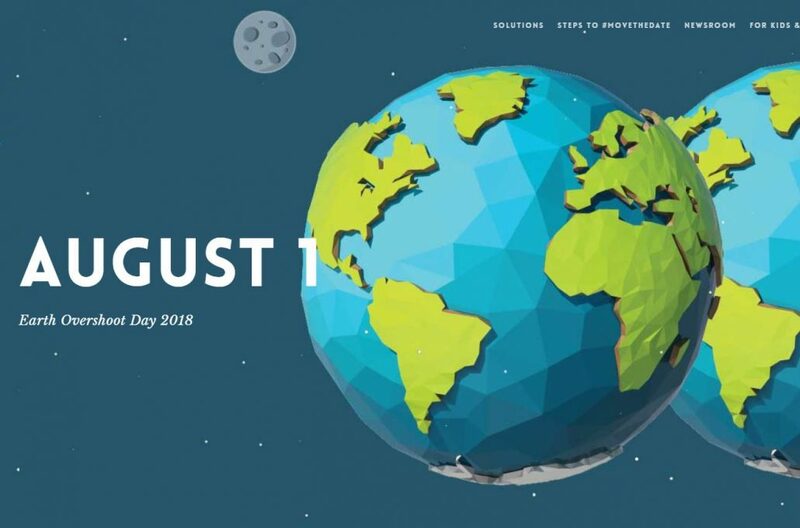 To push back Earth Overshoot Day in future years, we must make a commitment to changing the way we grow, raise and consume our food.